Crab & Seafood Buffet at the SQUARE! Let’s savour the flavours of our new Crab & Seafood! Enjoy a delicious spread of enhanced seafood at The SQUARE Restaurant! Every week, from Sunday to Thursday. The SQUARE presents a “Crab & Seafood” buffet. 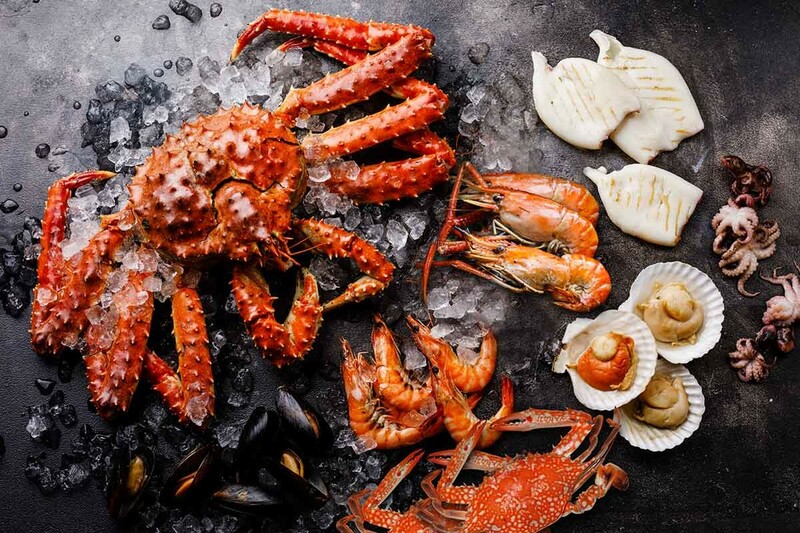 Highlights include wide range of seafood on ice such as Alaskan king crab, delicate blue crab, white prawns and New Zealand mussel. There will also be a selection of grilled delights, from giant river prawn and areola babylon shellfish to fresh squid and salmon wrapped in banana leaves. 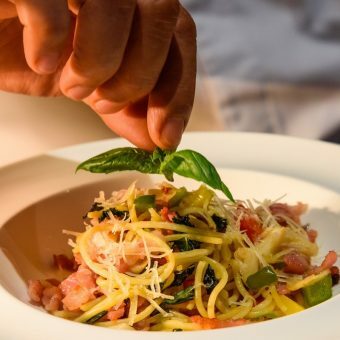 In addition to crab delicacies, guests likewise enjoy their seafood pasta selections with delicious sauce complements mixed with special ingredient such as Taraba crabs, prawns, salmon, and many more. Don’t miss out on our chef’s signature; Baked Scallop with cheese and crab meat, Fresh Salmon with chili and garlic sauce, Surf & Turf. Every buffet at The SQUARE features a tremendous range of international dishes. From the west for instance, we offer a variety of pizza toppings; seafood, vegetarian, Hawaiian or margarita. If you love eastern food, we offer you handcrafted sashimi, sushi and lots more. Desserts include tropical fruits and fresh-baked pastries. Crab & Seafood Buffet price: THB 1,399++ per person. Crab Buffet at The SQUARE, Novotel Bangkok Ploenchit Sukhumvit is available on Sunday to Thursday from 6.00 p.m. to 10.00 p.m.
One more reason to love Crab Buffet: The SQUARE is right downtown and easy to reach as the restaurant stands directly adjacent BTS SkyTrain – Ploenchit Station. For those driving, Novotel Bangkok Ploenchit Sukhumvit is just off Bangna-Daokanong Expressway (take Sukhumvit-South Ploenchit exit). Go Three Hotels – Dine Three Crab Buffets and Enjoy One Free Dinner! 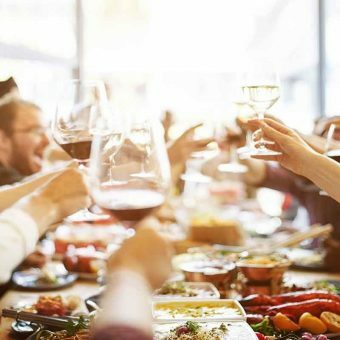 Three AccorHotels, three crab dinner buffets – Novotel Bangkok Fenix Silom, Novotel Bangkok Ploenchit Sukhumvit and Pullman Bangkok Grande Sukhumvit – present the 4th edition of their exclusive offer that adds up to extra dining pleasure. Enjoy sumptuous crab dinner buffets at three hotels, and receive one complimentary weekday dinner buffet at the chosen hotel. Collect your three stamps soon to claim your reward. 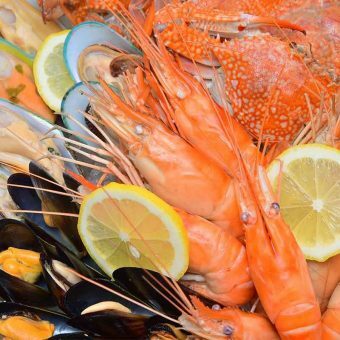 Crab carnival dinner buffet – Atelier restaurant, Pullman Bangkok Grande Sukhumvit, Tel 02 204 4161. 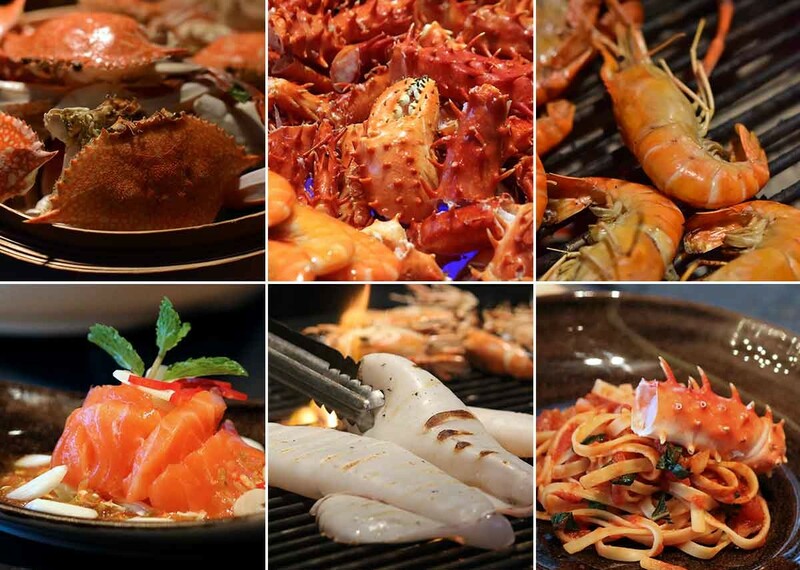 Prawns Ja dinner buffet – The SQUARE restaurant, Novotel Bangkok Fenix Silom, Tel: 02 206 9100. Highlight: Baked Scallop with cheese and crab meat, Fresh Salmon with chili and garlic sauce, Surf & Turf.